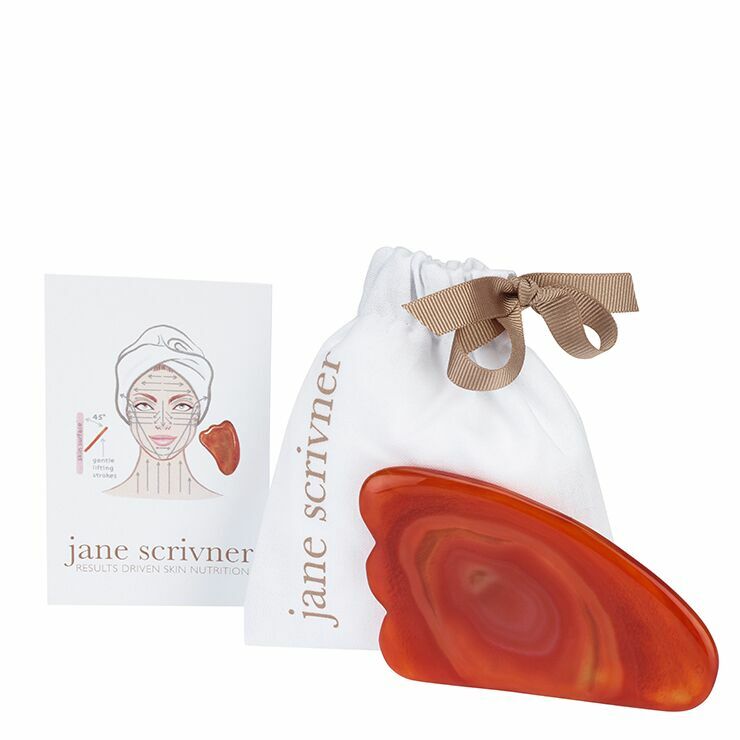 Skin will look health, fresh and illuminating in an instant with the Jane Scrivner Gua Sha Tool. Made of carnelian, known to promote feelings of calm and enhance the look of boosted circulation, this sleek and smooth tool is an essential component in the ancient Chinese facial massage. With regular use, skin looks toned, lifted, and radiant. The tool is also beneficial in providing a feeling of relief from tense muscles and water retention. 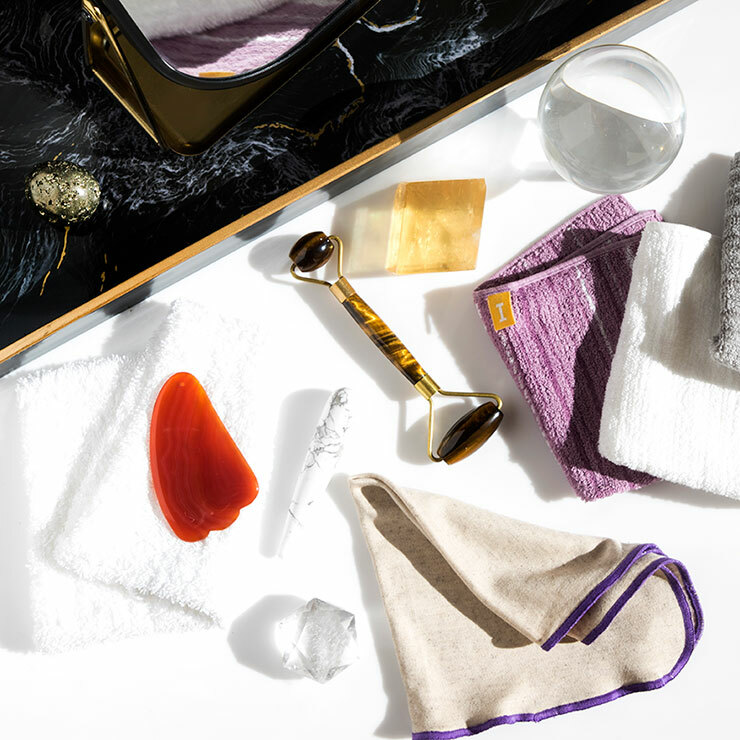 To use the Gua Sha tool, allow the weight of the tool to do the work rather than pressing, and simply glide over skin in gentle lifting strokes. Begin at the base of the neck and move the tool upward, going over each area 5 times. Move to the jawline and chin, working upward and outward. Now the cheeks and under eye area, moving up and out. Glide down the bridge of nose and move outward on sides of nose. Gently glide over eyelids. On forehead, work outward in both directions, starting at center. 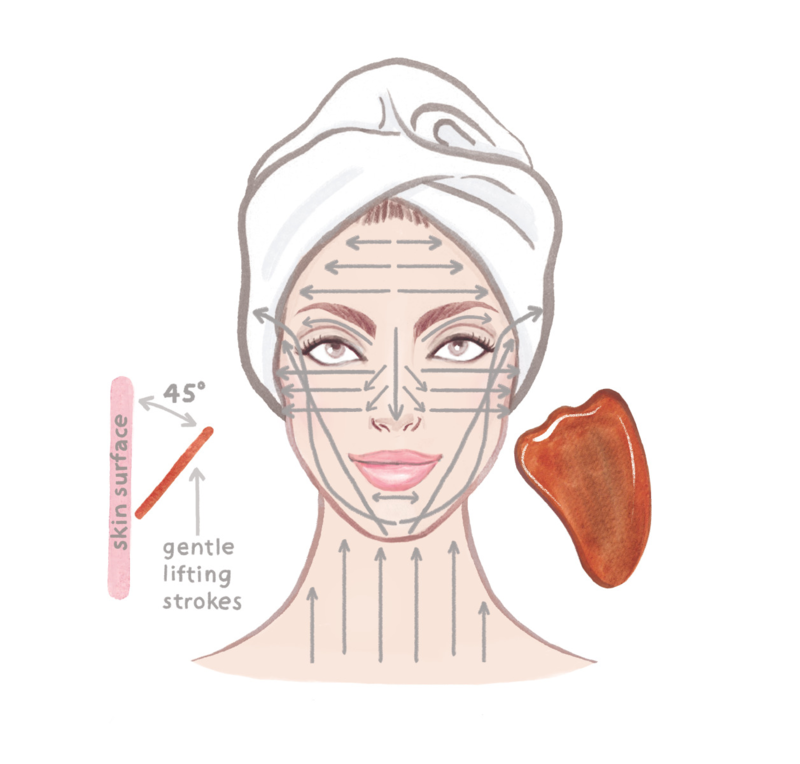 Make at-home Gua Sha facial massage a part of your regular skincare routine. May be used with cleansing balm, facial oil, or facial balm. 1 x Carnelian FACE LIFT BLADE and illustrated sequence card.